Video Communications | Fancom Connects Ltd.
Video communications, while still technically a form of data communications refers generally to the applications that use a video image to communicate a message. Video messages may be stand-alone video such as a smart board display or may be used in tandem with voice communications such as in video conferencing or in its most modern adaptation, video telepresence. Video communications in the context of electronic security may include CCTV. Video conferencing and telepresence by virtue of their ability to bring remote parties into a meeting or conversation are increasingly used for their enhanced ability to allow group collaboration and also to minimize travel costs should businesses be operating in a wide geography with several satellite operations. for their advantages and disadvantages. For example, a telepresence system may at first glance appear too costly, however a potential reduction in travel related expenses may more than justify its expenditure. Locally available equipment that is not serviced locally may not be a good choice if 24/7 reliability is a key consideration. Security cameras that are required for night time operations will require a different specification than cameras used in well-light inside business operations. 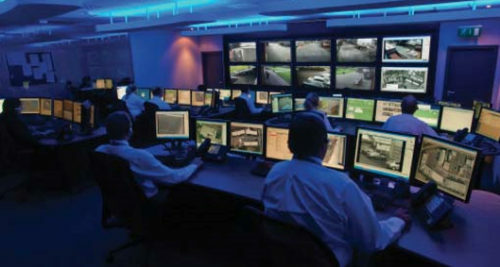 Remote monitoring of CCTV cameras through an IP enabled connection requires a different design than one not needing remote viewing capabilities. At the core of most video communications is a connection, either by physical fibre optic or copper cable or wirelessly to a communications network. To ensure a smooth uninterrupted video message at the receiving end, appropriate design and specification of all elements of the network is required at both the transmission and receiving ends. Constant advances in cabling, switching, cameras, recording and storage devices require that designers of these systems be aware of current trends in the industry and improvements in technology. A Registered Communications Distribution Designer (RCDD) is the professional of choice when designing video communications systems. The RCDD designation is your assurance that the video communications system for your business is well-designed, specified for maximum performance and installed professionally according to manufacturer’s best practices.